Our customers spoke – we listened. We have a new theme based on the UT Responsive Theme. Our customers told us they would like to have an option to use the UT Responsive Theme – but with a smaller header image. The new UT Responsive Small Image theme serves this purpose. 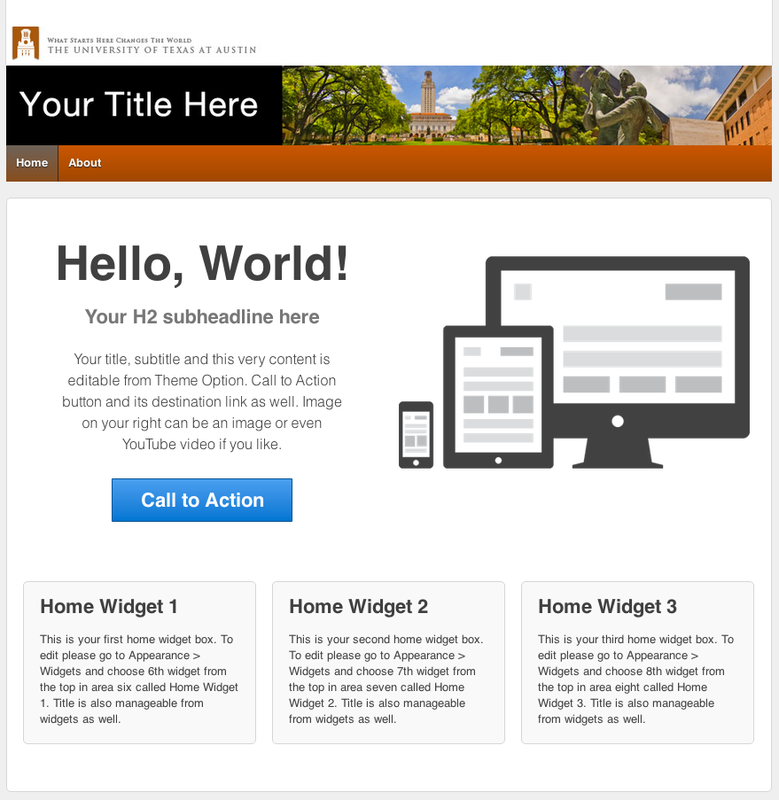 You will then see the two UT Responsive Themes provided by the University Blogs Team (provided one of these themes is not already your current theme). Click the Choose File button and browse to the new graphic you created. Then click upload. You also have the option to remove a header graphic completely. Click: Remove Header Image to do this. The title of your blog will show instead.